Patch for Linux, UNIX, Mac Patch management from workstations to the data centre, for multiple OSes and 3rd-party apps. Businesses live in a world of heterogeneous environments, which means they need a patch management solution that goes further than patch management for Windows. You need to ensure that your patch management software is efficient, features a single interface and is an automated tool. This not only frees up IT - it reduces human error all while enhancing your cyber Endpoint security and defences. 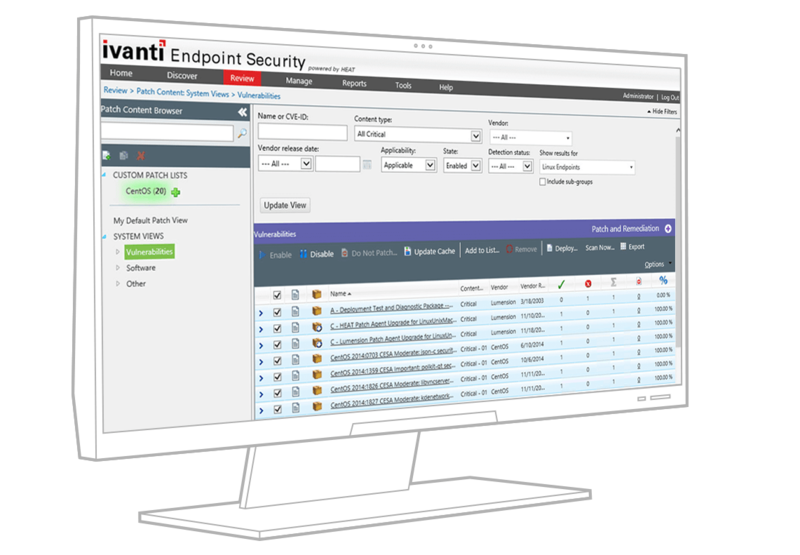 Ivanti UK’s Patch Management software for Linux, UNIX, Mac (powered by Heat) swiftly detects vulnerabilities in your environment, from endpoint to data centre, and deploys expertly pre-tested patches automatically, helping you efficiently patch across all those OSes and Windows. Protect thousands of systems with one tool—even in wildly heterogeneous environments—without disrupting business. 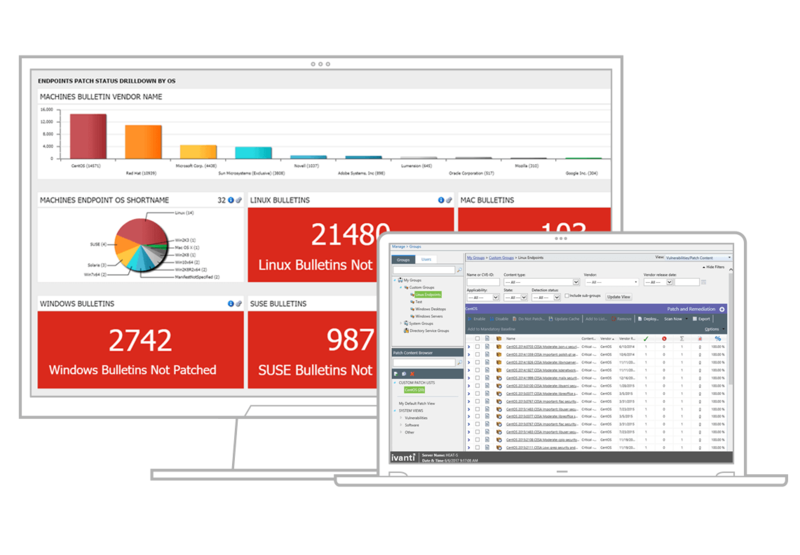 Automate vulnerability assessment and patch management across your organisation. Patch all devices across your network while optimising bandwidth. Take advantage of the industry’s broadest third-party patch catalogue, including the largest repository of Adobe vulnerability content. Save yourself headaches and time. Get our automated solution for patching heterogeneous environments, including coverage for multiple OSes and an industry-leading catalogue supporting third-party app patches.